Iran, an Islamic republic in southwest Asia, is the easternmost nation in the Middle East. The country borders Armenia, Azerbaijan, Turkmenistan, and the Caspian Sea to the north; Afghanistan and Pakistan to the east; the Gulf of Oman, the Straits of Hormuz, and the Persian Gulf to the south; and Iraq and Turkey to the west. Tehran is the capital city. Eighty-nine percent of the population is Shiite Moslem. Iran is one of the largest oil exporters in the world. Its oil and natural gas resources are mainly concentrated in the Southeast. The economy is based on oil exports and, therefore, heavily influenced by fluctuations in global oil prices. During the reign of the Kajar Dynasty (1796-1925), Iran maintained close ties with the West. For example, British and French companies were granted concessions to pave roads, lay rail, and search for oil. 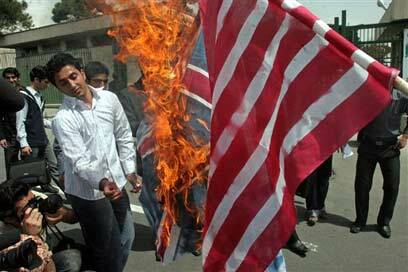 Iran’s economic dependence on the West, especially Britain, only increased with time. In fact, by the turn of the 19th century, Britain controlled Iran’s economy. Later, Britain held 51 percent of the Anglo-Iranian Oil Company. During World War I, Iran declared its neutrality. However, both Russia and Britain used Iranian territory in their fight against the Ottoman Empire. In addition, Britain strengthened both its presence in Iran and its control over the oilfields. The government was perceived as being a lackey of foreign powers, and the Iranian people demanded change. As a result of the turmoil, Reza Khan, a military officer, led an uprising against the Iranian regime in 1921. With the military’s backing, he was appointed prime minister, and in 1925 he deposed the last Shah of the Kajar Dynasty. Khan crowned himself k ing and changed his name to Reza Pahlavi. Later, he officially changed the country’s name from Persia to Iran. During Reza Pahlavi's 16-year reign from 1925 to 1941, social, political and economic upheavals rocked Iran. The Shah initiated modernization programs. Young Iranians were sent to Europe to be educated, and the Shah invested heavily in his country’s infrastructure, transportation, education and healthcare. In addition, the rural population became more urbanized, and new social classes, including an intellectual middle - class and a working class, arose. Nevertheless, Iran remained economically dependent on the West, to the chagrin of the Shah, who chose to ally himself with Nazi Germany. During World War II, Britain and the USSR invaded Iran, in order to enable the US to supply provisions to the USSR via Iran’s railways. The Shah was deposed and exiled in 1941, and his son, Mohammed Reza Pahlavi, was crowned in his place. After the war, Iranian Member of Parliament Mohammed Mutzadak led a broad movement which demanded that the British-controlled oilfields be nationalized. The Shah attempted to appoint a prime minister who opposed the nationalization, but his candidate was assassinated in 1950. Subsequently, Mutzadak became the prime minister, against the Shah’s wishes, and Parliament voted to nationalize the oilfields. In response, Britain organized a western boycott of Iranian oil exports, a step which hurt Iran’s economy and thwarted Mutzadak’s economic and social reform programs. In 1953, the US decided to side with Britain against Mutzadak’s government. The American CIA helped a group of military men, conservative politicians, and Shah-cronies overthrow Mutzadak and return the Shah to power. Diplomatic relations between Britain and Iran were renewed, and oil revenues were more evenly distributed between Iran and the British, American, Dutch, and French oil companies on the ground. The Shah, who had left Iran during Mutzadak’s rule, returned to his country. With American support, Mohammed Reza initiated his so-called White Revolution, which featured widespread reforms and infrastructure development. However, the r evolution failed. Poverty increased throughout Iran, as did the enmity of the people and the religious leaders. The Shah’s secret police arrested and tortured many citizens, and the population became ever more hostile to the regime. Furthermore, many Iranians perceived the Shah as a puppet of imperialistic masters who willingly submitted to international involvement in Iran. Ayatollah Ruhollah Khomeini, a Shiite preacher who was arrested in 1963, was one of the leaders of the opposition to Mohammed Reza Shah. His arrest set off public riots, and the Iranian police killed over 600 and wounded thousands in their attempts to quell the disturbances. Khomeini was exiled to Iraq in 1964, but continued to maintain close ties with his supporters in Iran. The Shah never managed to gain the support of the secular middle - class, even though they were the main beneficiaries of his reforms. Iran’s revenues multiplied, but the regime squandered much of its fortune on the military and on grand displays of wealth. Concurrently, repression of the opposition increased greatly. Khomeini’s supporters allied themselves with democracy-loving, secular intellectuals in an attempt to overthrow the Shah. In January 1978, a pro-Khomeini rally was held in his hometown of Kum. The police arrived to quell the riot, and 70 protesters were killed. Realizing that he was losing control over the situation, the Shah declared military rule over Tehran and another 11 cities in March of that year. The Iranians responded with a wave of protests, which soon turned into a general strike. Meanwhile, the Shah pressured Iraq to expel Khomeini, who escaped to France, from where he continued to incite his supporters in Iran against the Shah. Conditions soon deteriorated, and the Shah fled Iran in 1979. Two weeks later, Khomeini triumphantly returned. A referendum was held, and the Iranian public voted overwhelmingly in favor of establishing an Islamic republic. A new constitution was approved in December 1979, and Khomeini was declared Iran’s Supreme Religious Leader. In 1980, Abed el-Hassan Bani-Sadr became the republic’s first president, and “students”, who supported the revolution, took over the American embassy in Tehran. For over a year, 66 Americans were held hostage; the kidnappers demanded that the US arrest the Shah and bring him to justice. The crisis continued even after the Shah’s death in exile in Cairo in July 1980 and Iran was isolated internationally and remained so, even following the hostages’ release in January 1981 (as a result of German mediation efforts). In September 1980, Iraq took advantage of the Iranian regime’s perceived weakness and attacked Iran, in order to settle a long-term border dispute. The war continued for eight years, and there were heavy casualties on both sides. In 1989, a year after the hostilities ended, Khomeini died. Mohammed Ali Khamani was appointed in his stead, and Akbar Hashemi Rafsanjani, who was less radical, became president and took some steps to open up the regime. The next president was Mohammed Khatami, who was elected by a large majority in 1997 and was in favor of limited reform and a certain degree of rapprochement with the West. 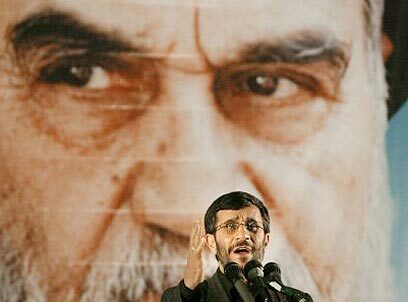 However, his efforts did not yield fruit, and in 2005, the conservative Mahmoud Ahmadinejad became president. The Shah’s regime did not recognize Israel, but, nevertheless, the two countries maintained cordial relations. Israel had a permanent delegation in Tehran, which served as a de facto unofficial embassy. In the aftermath of the Six Day War, Israel transferred large amounts of oil from Iran to European markets via the Eilat-Ashkelon pipeline. In addition, Israel purchased a significant portion of its oil needs from Iran. Apparently, the two nations had numerous business transactions, although the extent of these dealings was never officially quantified. Also, Israeli construction firms were active in Iran. 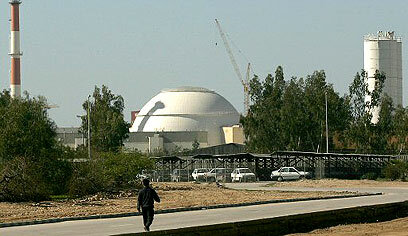 Iranian-Israeli military links were top-secret, but they are believed to have been wide-ranging. Following the Shah’s ousting and Khomeini’s ascension, the situation changed drastically. The new Iranian government ceased supplying Israel with oil, and every Israeli institution in Tehran was closed. The building housing the Israeli delegation was transferred to Fatah, and Yasser Arafat was warmly received. Since then, Iran has repeatedly declared its determination to liberate Jerusalem from the 'Zionists'. In addition to verbally supporting the Palestinian cause, the Islamic republic actively assists Hizbullah in Lebanon and Hamas in the Gaza Strip. Iran’s development of medium - range ballistic missiles and, even more so, the possibility that Iran may soon possess a nuclear bomb greatly concern Israel.